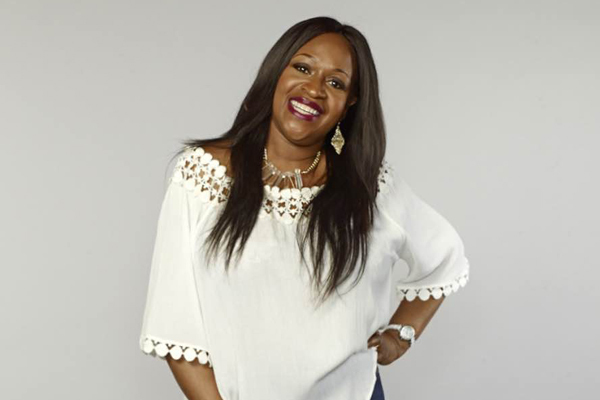 Beauty parlours are becoming as popular as supermarkets – even more so now that there’s the luxury of doing supermarket shopping online. But you can’t do your nails online, and as for nail bars, oh my goodness, once you could walk into a nail bar without an appointment knowing you would be seen within 30/45 minutes, but no more, no way jose. You need to make that appointment, and don’t late! Long gone is the simple french polish and white tip and as for the shapes! 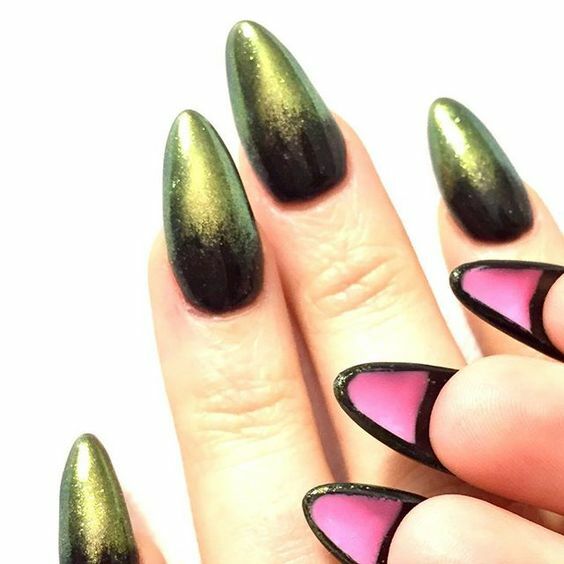 I used to be happy with square nails and rounded corners, but now there’s Almond, Coffin, Stiletto ………. And the glitter, the ombre, the matt finish and let’s talk Shelac. The nail trends blowing up the beauty world (and Instagram) never fail to mesmerise and shock… I myself prefer a classic look. My daughters like coffin shape (see below) and I like more of a square oval (squoval) shape. And yes… the fingers and toes have to match! Flashy nail art can take a rest, flip manicures are all about the hidden treasures. By adding jewels or painted designs to the inside of the nail, flip manicures are a fun twist on a seemingly traditional look. But keep in mind that since these nails require adding something special to the inside tip, they require some additional length. And if you can master painting with your non-dominant hand, it could be an easy one to try at home. Pointy isn’t just for heels anymore. 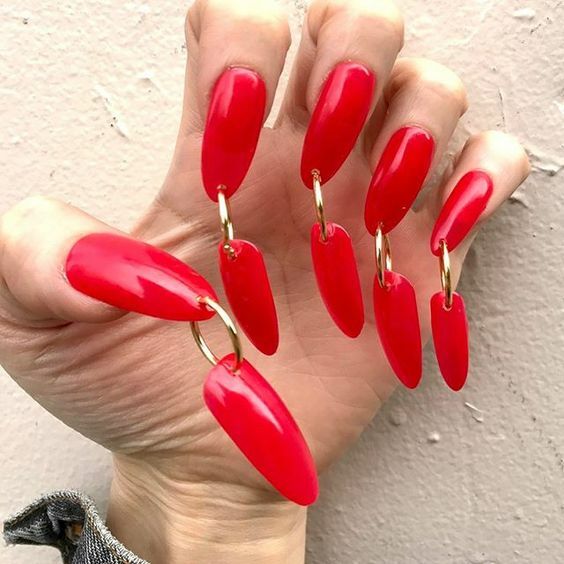 This increasingly popular nail trend gives you an elongated talon look that’s almost as scary as it is trendy. To get this look, artificial nails are typically required since it takes nail length and shape to the extreme. Pointy nails can be tricky so beware! 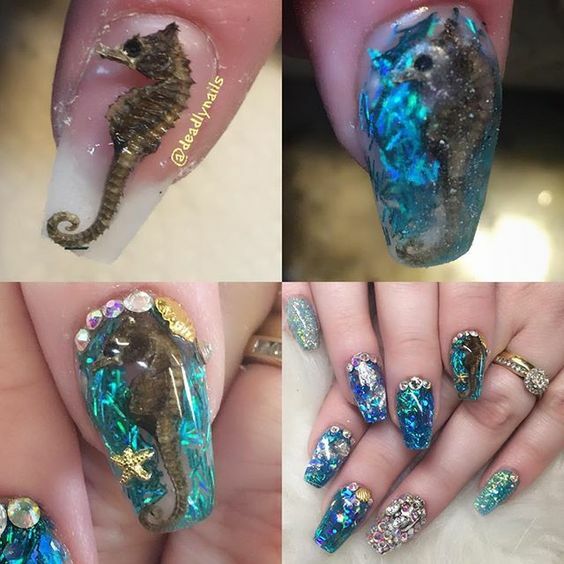 Forget about playing with only the flat level of the nail bed; 3D nail art adds some interesting details, taking your nail game to a whole new dimension. Adding rhinestones, crystals, flowers and even acrylic appliques, each finger becomes an accessory all its own. The options are endless! Inspired by the webbed foot of a duck, duck feet nails give all 10 fingers or toes a flared look. While they can range in length and width, the added surface area allows manicurists to create intricate designs and graphics. It’s almost a cartoonish feel. 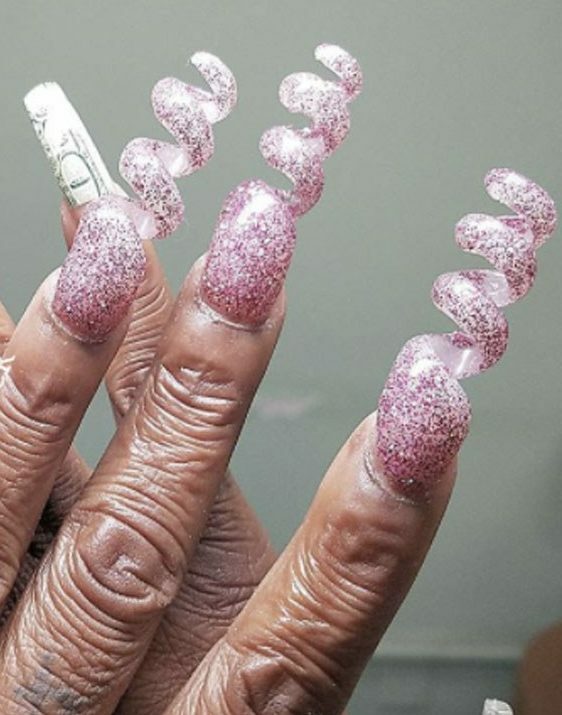 But these super long nails do beg the question, how does one type, text or go through daily life? And with a pedicure, how do feet fit in the same shoe size? We’ll leave the answers to those brave enough to sport the trend. Why go to the beach when you could have the sea on your fingertips? To get this look, manicurists create a miniature aquarium on each fingernail — sans the live fish, of course. Two artificial nails are placed together with water or baby oil and sparkles in between to create the effect of a sparkling sea. On the top nail, rhinestones and jewels are carefully placed into a design or a seascape is painted for a more traditionally aquatic look. 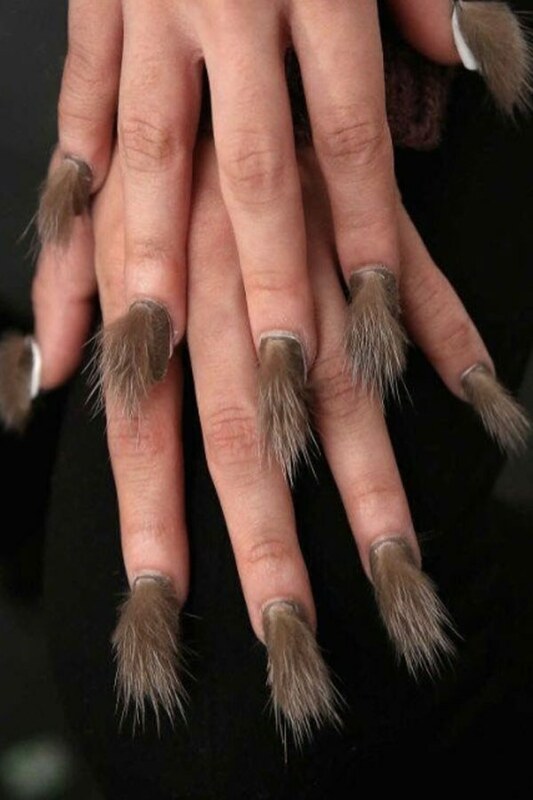 Jan Arnold, style director and co-founder of CND nail polish, sent models down the runway at the Libertine fall/winter 2016 show with legit faux fur on their nails. Because she’s fancy like that. People are getting WAY too creative with these designs. Spiral nails are a big no-no. 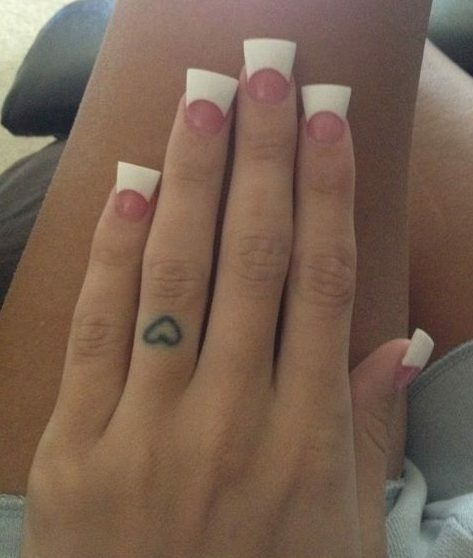 I’m not sure how people can even use their fingers with this type of shape? What happens if you have a scratch or try to send someone a text? It also reminds me of people who never cut their nails, and they make that long spiral shape! Guinness Book of World Records? I think not! Kim Kardashian showed off her pierced nails to us via snapchat, and everyone went crazy over it. Of all the weird nail art trends, this is my favorite. These nails mean business. They do double duty. Not only do they look badass, but any girl could potentially defend herself when slinging a chain between her nails! 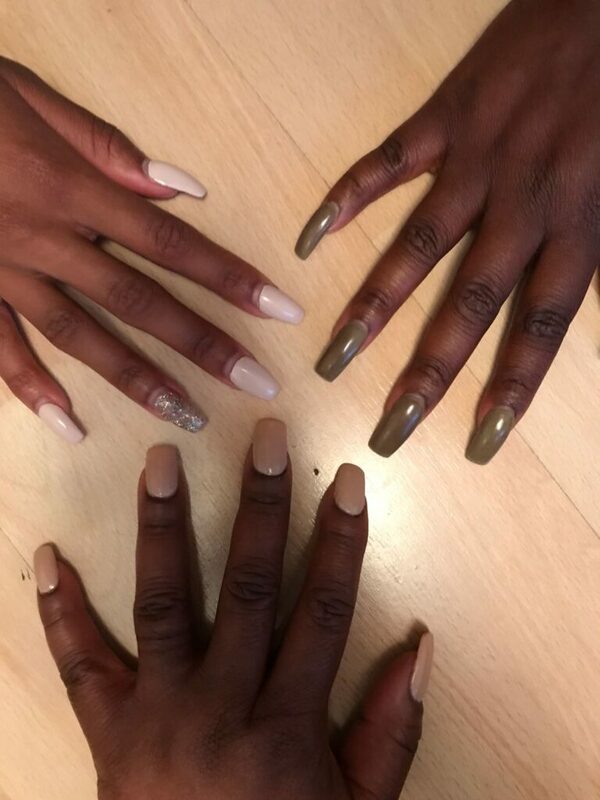 So what’s YOUR favorite nail shape? 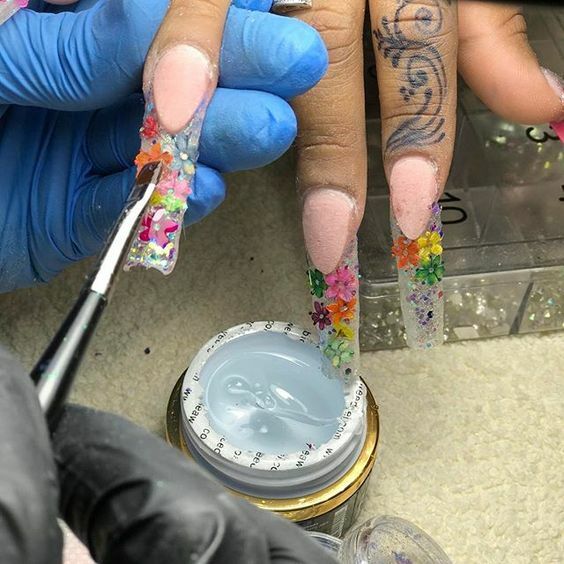 What’s the weirdest nail art you’ve ever seen/done? 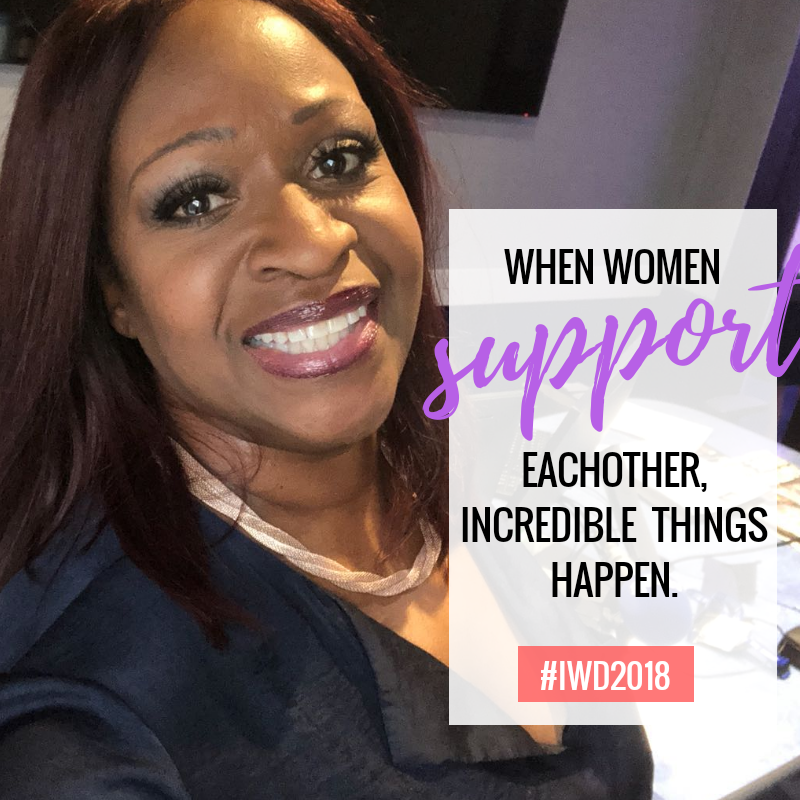 Let’s talk about it on Facebook,Twitter, and Instagram.